Using Dougs borthday as an excuse (many happy returns Doug!) 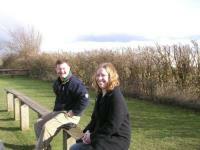 we spent a lovely Saturday afternoon wandering about Suffolk. 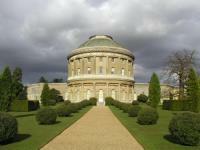 Ickworth House was our first port of call, with stormy clouds but only a drop or two of rain. 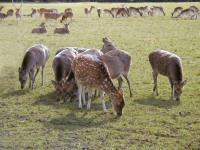 They have this lovely herd of deer in the parkland. 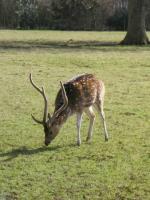 Including a single rather splendid Stag, his antlers showing their soft covering in the sunlight. 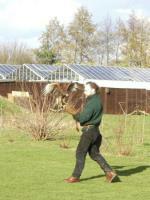 Next it was the Suffolk Owl Sanctuary, actually home to a whole range of birds of prey. 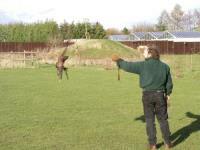 They 'fly' them free to feed and exercise them - the man is swinging a dead chicken on the end of a string for the hawk to hunt. 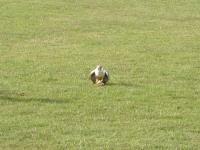 It misses acouple of times, although the speed it can fly at is just remarkable. 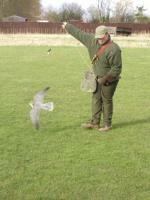 Finally it catches its prey and brings it to ground for consumption! Doug and Ruth enjoying the spectacle. 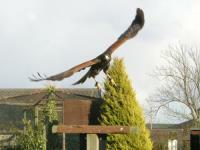 The next bird out (a Harris Hawk) was a bit frisky from the start. 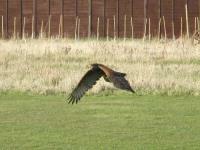 Bigger, and slightly slower flying - rather terrifying in fact. Landing for a little rest. 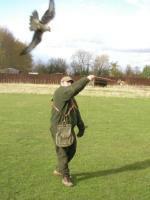 Finally returning to its handler to go back to it's perch in the "Weatherings"